Today, Mommy and I traveled to San Diego for church camp. 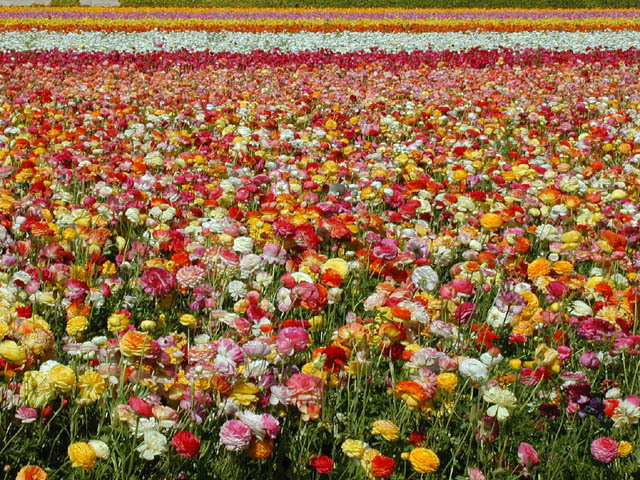 Grandma Luene met us at the airport and took us to a place called The Flower Fields. They planted mostly ranunculus.